LinkedIn filed on Tuesday for a $1 billion secondary offering, saying it wanted the money for working capital, fuel for international expansion, infrastructure funding and potential acquisitions. The company’s calculations were based on last week’s closing price on the New York Stock Exchange of $240.04. LinkedIn shares have since dipped in after-hours trading, to $240.80 from $246.13. LinkedIn also wants to give underwriters J.P. Morgan, Morgan Stanley, Goldman Sachs, Merrill Lynch and Pierce, Fenner & Smith the option to buy an additional $150 million worth of stock. 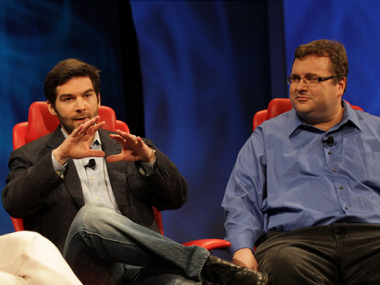 Put together, the offering would likely account for three to five percent of LinkedIn’s total stock. The Mountain View, Calif.-based business networking company will continue to be controlled by its founders and leaders, in particular Chairman Reid Hoffman, who holds Class B stock, worth 10 votes per share. Hoffman will maintain 59.3 percent of the voting power of outstanding capital stock, LinkedIn said in the filing. In its most recent earnings period, LinkedIn beat expectations with earnings per share of 38 cents on revenue of $364 million, which it attributed to member growth and engagement. During 2013, the closing price of LinkedIn’s Class A common stock has ranged from $109.80 to $247.98.